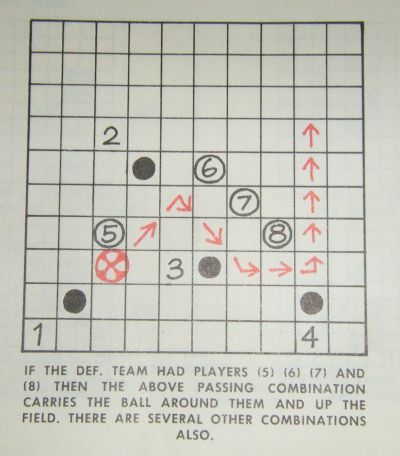 One of two versions (the other is Australian) from the 1960s. 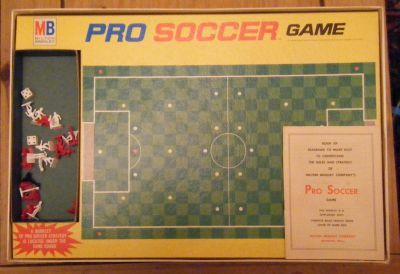 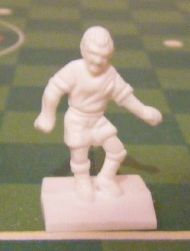 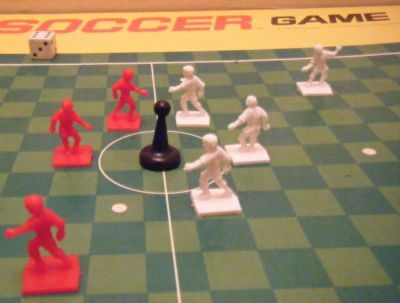 Classic game on a checkerboard pitch with miniature player figures. 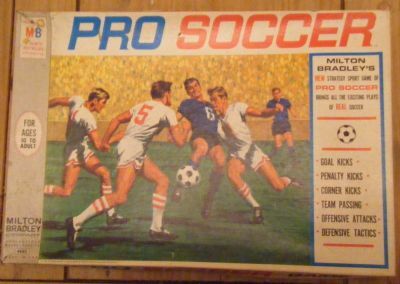 Very American soccer scene. 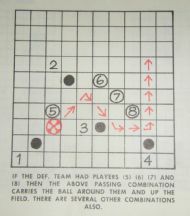 'offensive tactics' is always a giveaway.